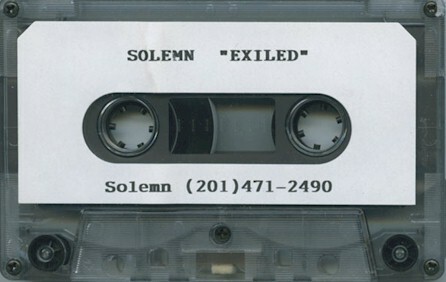 SOLEMN, a death metal band, formed around 1993 and recorded a demo called, 'Exiled At The Well Of Souls'. Xeroxed Covers. The back J-cover lists 4 songs while the inserts has 9 song titles. Regular Tapes. Xeroxed Covers. Tapes with stickers on the shell. Pro Covers. Tapes with stickers on the shell. 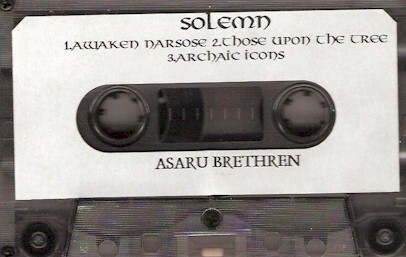 Also known as the Asaru Brethren Demo. 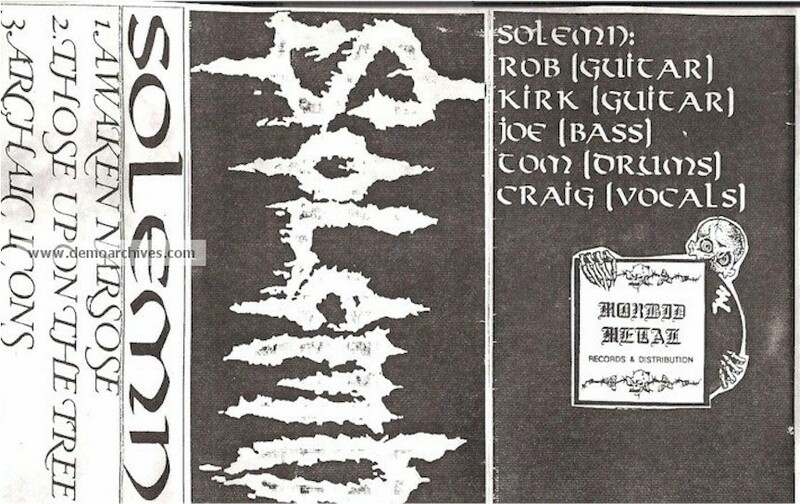 Re-released as a EP with extra tracks later on.